A substantial donation is set into the cost of each product to feed a hungry person in America. Each product sold changes lives. In 2011, nearly 1 out of 6 Americans are hungry and struggle to survive every day. They don’t have enough to eat. 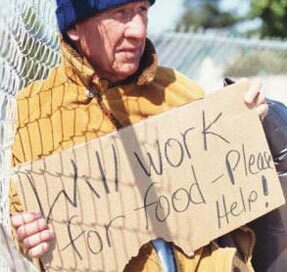 U.S. Census finds nearly half of all Americans are on the poverty line. Nearly 52 millionAmericans don’t know where their next meal is coming from (including 18 million children under age 18), living in a household with food insecurity. 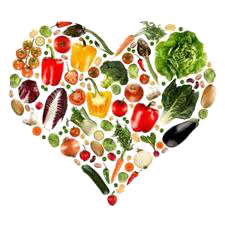 56 Million Americans are on a food assist program. Having enough to eat is our fundamental birthright. No one should go hungry. There is enough for everyone. Figlie di Fortuna’s mission is to create good products and, by the sale of all purchases, help feed someone hungry in America. This is done by building a set substantial donation into the cost of each product. Each product sold has an impact, making sure that everyone eats well, no matter who they are. In 2006, the United States changed its definitions and eliminated references to hunger. Instead, the government now uses the phrase “food insecurity” to describe various categories of hunger. Food insecurity means that the food intake of household members is reduced and normal eating patterns disrupted, not knowing where to find the next meal, unable to consistently access nutritious and adequate amounts of food, because the household lacks money and other resources for food. This means that people go hungry. The face of hunger has changed. In the United States, hunger is a reality, a different reality from what we might think or are told. It is a reality that hunger is not confined to small pockets of society or neighborhoods. These are often hard-working adults (working hungry), children and seniors who simply cannot make ends meet and are forced to go without food for several meals or days. Hungry adults miss more work and consume more health care than those who don’t go hungry. Families who once managed can no longer because something happened such as job loss or sickness. Those experiencing hunger are more likely to suffer from anxiety, depression, behavior problems, and other illnesses; this is a major crisis. Unfortunately, food insecurity is an obstacle that threatens establishing and maintaining the critical foundation that has implications on a child’s physical and mental health. After the onset of the financial and economic crisis that erupted in 2008, a dramatic increase in hunger occurred and remains high in the United States. This high level of hunger not only continues, but it is rising. Hunger is increasing in the United States at an alarming rate. Obesity is everywhere, yet, we are a starving nation. WIC (Woman Infants Children) is a federal food and nutrition service program to safeguard the health of those with low-income who are at nutritional risk. 50% of babies born in America are participating in WIC. The total cost of hunger to American society is said to be about $90 billion a year. In contrast, it would only cost about $10 billion to $12 billion a year to virtually end hunger in our nation. 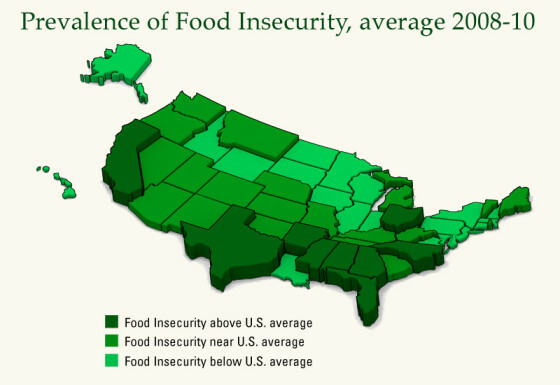 In the United States, hunger is not caused by a scarcity of food, but rather the continued prevalence of poverty. In many ways, America is the land of plenty. The USDA recently found that about 96 billion pounds of food available for human consumption in the United States were thrown away by retailers, restaurants, farmers and households over the course of one year. This is a forgotten political issue. Poverty and hunger are never discussed. It is silent, an ‘unpopular’ topic, keeping the poor invisible and out of the dialog. We can change it – truth against power. Time to stand up and shout. 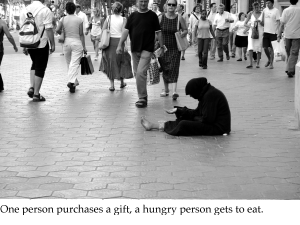 The official poverty measure is published by the United States Census Bureau shows that: In 2010, 46.9 million people were in poverty, up from 37.3 million in 2007 - the fourth consecutive annual increase in the number of people in poverty. This is the largest number in the 52 years for which poverty rates have been published. 20.5 million American family’s cash income is less than half of the poverty line, or about $10,000 a year for a family of four. 77% of Americans live paycheck to paycheck. Most poverty comes from wages not enough to pay for the basics. Until we agree that, as a country, people have a right to earn a living wage, this is not acceptable and is an unbearable situation. We must come together to confront hunger and poverty in the United States. A study from Indiana University says the number of Americans living below the poverty line surged by 27% since the beginning of the 2006 recession, driving 10 million more people into poverty. “Poverty in American is widespread. People living in poverty is increasing and expected to increase further, despite the ‘recovery’”, concludes the study. Hunger and poverty are tragedies, far more prevalent in America than ever imagined.